Definitely a unique name for a diet program but it sounds just like what it is. The Flexitarian diet is for those who want to try vegetarian but also have a piece of meat once in a while. 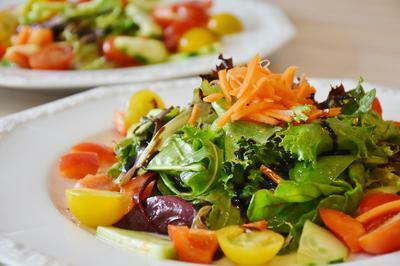 The focus of the diet is to focus mostly on plant-based foods. It promotes all-around health while not depriving you completely of a nice juicy steak! This is a good diet for someone who may want to fully dive into to being a vegetarian at some point for or someone who just can’t go without meat. With the Flexitarian diet, it’s best to avoid processed foods, fried foods, refined foods like white flour and pasta as well as added sugars. The reduction in meats and dairy is the main focus of this diet but encouraging healthy habits is also essential to seeing results. Most people would probably choose to start here when transitioning into a more heavy plant-based diet. Jumping into a straight vegetable heavy diet can cause some stomach discomfort. As long as plant-based foods are introduced a little more frequently, you’ll ease into being an official “Flexitarian”. A Flexitarian diet is pretty simple to follow but preparation is important as to not reach for the wrong foods. So have your foods easily accessible. Many people would appreciate the flexibility of this diet and it has earned its (Cool) name rightly so.